Here are 5 sketching tips I frequently suggest to people who are looking to improve their tree drawings or are feeling stuck. It can be helpful at the start to lightly rough in your tree as a series of cylinders joined together. The basic cylinder shape represents the volume of the trunk and branches which grounds your tree in space and helps prevents it from appearing flat. Some trees are too grand to fit within the confines of a sketchbook page. Instead of attempting to squish an entire tree onto the page, select an interesting detail to focus on. 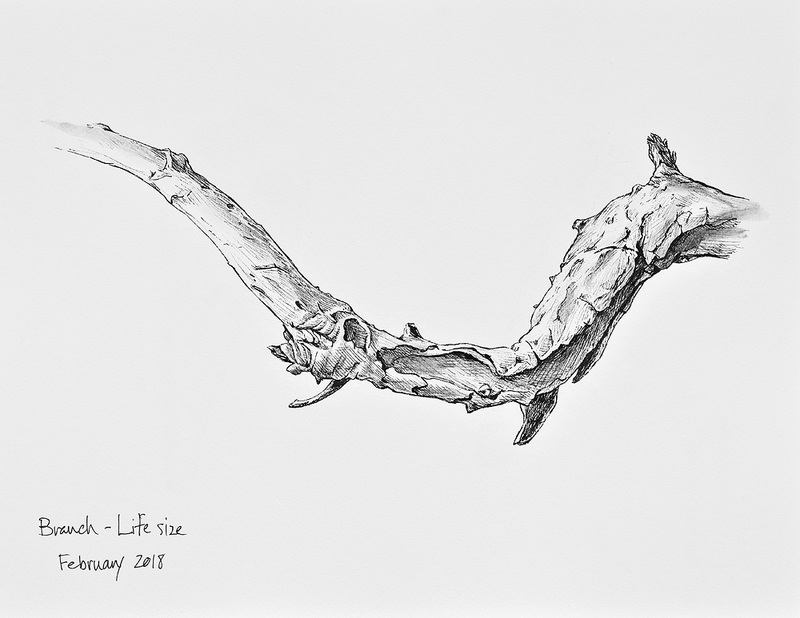 A single branch or a network of exposed roots can make for a compelling sketch. 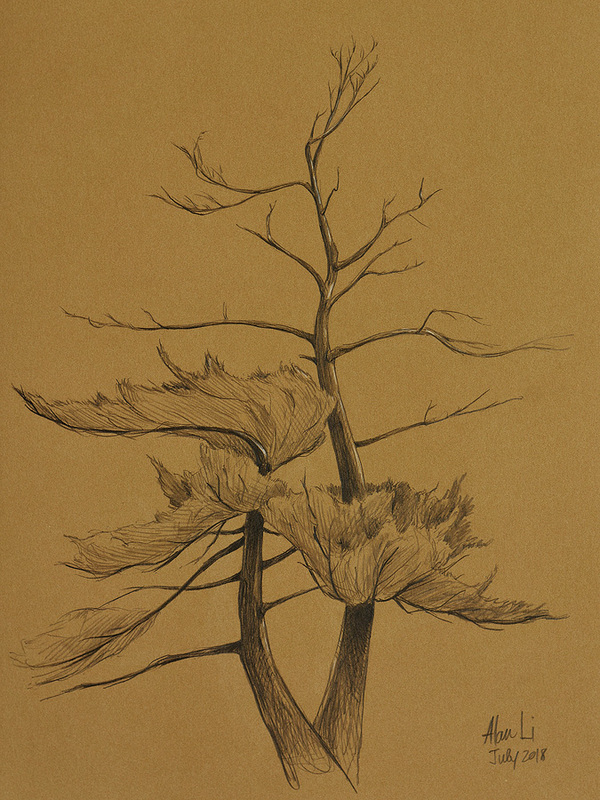 When sketching on location, don’t stress yourself by trying to draw every leaf or needle on your tree. Aim to broadly suggest the foliage as light and dark shapes instead. Squinting will distill what’s essential from all excessive detail. It’s just the same as sketching a portrait; you wouldn’t draw every strand of hair on a person’s head, but rather, you'd draw their mass of hair as an overall shape. Introducing a recognizable element (e.g. dog) alongside your tree will immediately give your sketch a sense of scale. The bird in this sketch took seconds to add in and is a reminder of the oak tree’s massive size. When working outdoors in bright conditions, you may experience glare from your page. Try switching to a medium toned gray or brown paper instead. You can add highlights with a white pencil, but be careful not to overdue it, otherwise your tree will look like it’s covered in snow. Sketching with sunglasses is another solution to glare, but keep in mind that your perception of light will be slightly off, so you’ll need to ease up on how dark you make any mid-tones or shadows.